Labels: Morning Gap Trades, P/L, professional traders. Well, Today was a good day for the guys in the room. 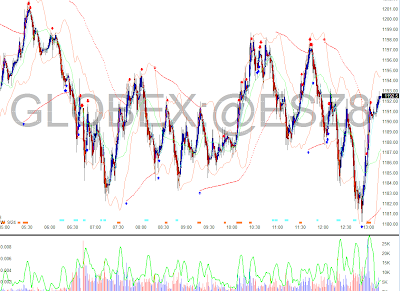 The trade signals seemed to work pretty well. I'm working on holding my trades longer. 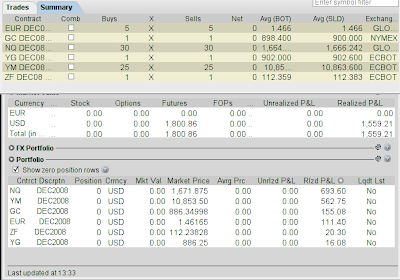 I cut myself off about 8pts on my gold short and 10pts on my NQ long at the close. 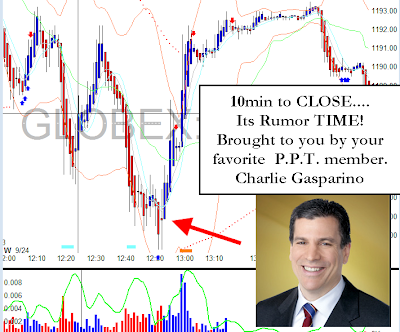 Of course we got Gasparino coming in 10min before the close on CNBC to pulloff a 100pt rally on some more rumors about what the FED is going to next. Some shorts that weren't watching there positions closely, got ZOLTED pretty bad. Great, it's like watching sports and keeping score what is going on.